What do a six-foot high bunch of flowers, a poster and a couple of tables have in common? 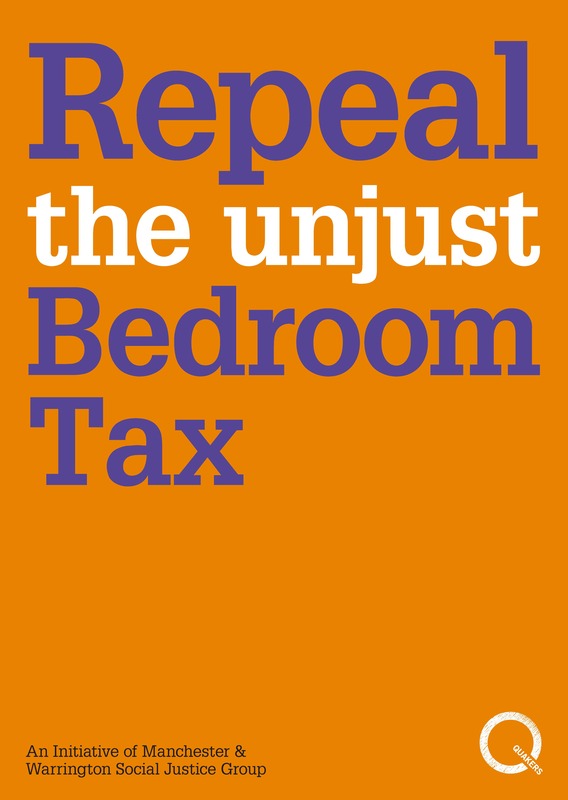 They’re all amongst the tools that Quakers used earlier this month during Quaker Equality Week – a week of action to highlight the need to tackle economic inequality in Britain. In this guest blog, Suzanne Ismail (Programme Manager, Economic Issues for Quaker Peace & Social Witness) shares some inspirational stories from the week. 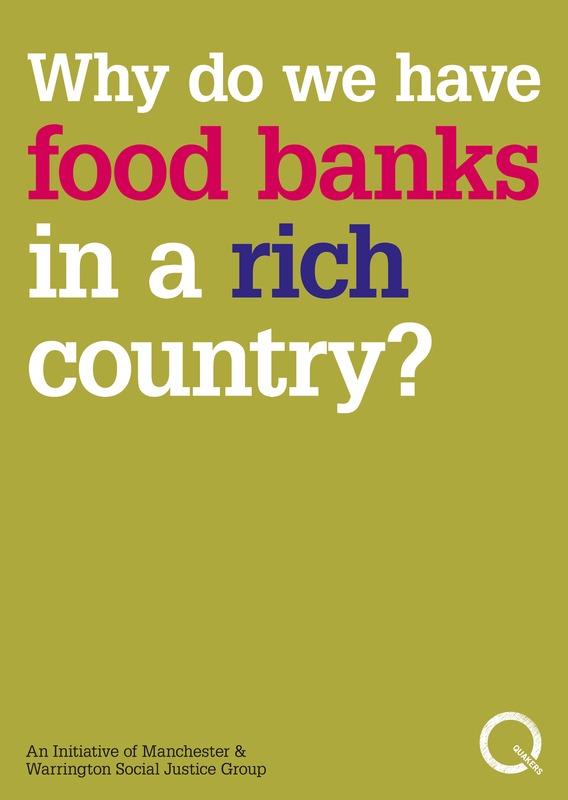 The poster, which bore the slogan ‘Why do we need food banks in a rich country?’, was one of six designed for the week, and was displayed outside Quaker Meeting Houses and on public noticeboards throughout the country. 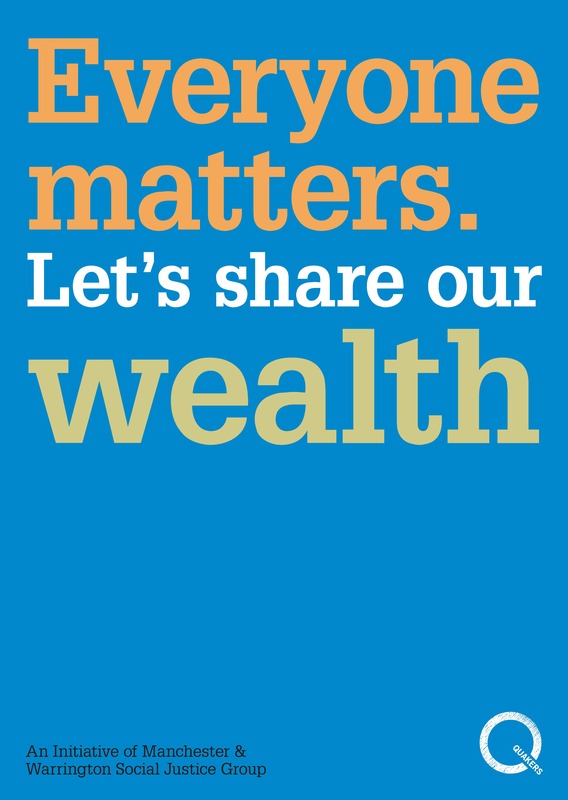 The tables – such as those placed in public libraries in Sidmouth and Bury St Edmunds – supported exhibitions about the harm caused by high levels of economic inequality. And the flowers, each of which bore a message about inequality it its centre, were ‘planted’ in the garden of a Quaker Meeting House in Coventry. Over 80 Quaker Meetings got involved in the week. Many pasted their posters onto placards and took to the streets holding silent vigils in market squares, outside public buildings or other busy places. The stillness of the vigils, providing a sharp contrast to the activity going on around them, prompted much curiosity. Several Meetings used the week to highlight the issues with MPs, parliamentary candidates and other elected representatives. Lancaster Quakers encouraged local companies to pay the Living Wage. Others held public events and some of us even made it onto the radio! Although it was ‘Quaker’ Equality Week, plenty of others got involved too. 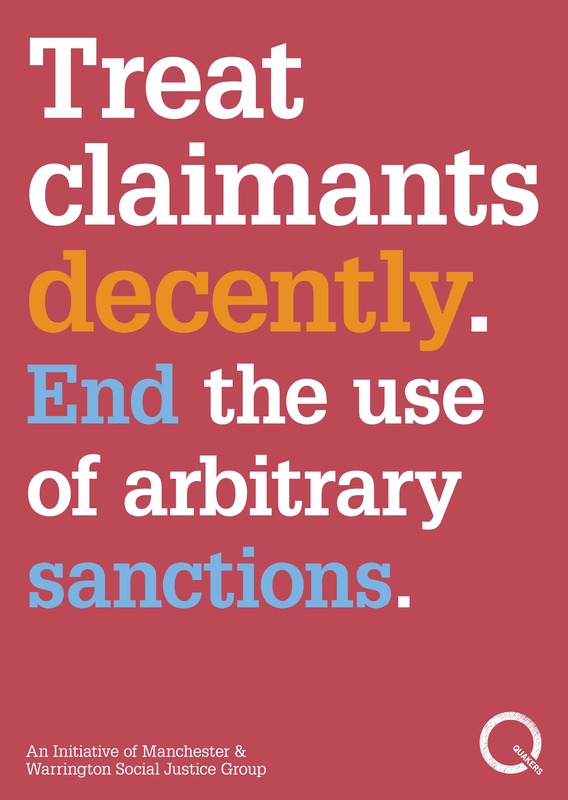 In Norwich, for example, a vigil to protest about benefit sanctions was organised with the local claimants’ union. Quakers are no strangers to campaigning on peace and social justice issues, yet many Friends remarked on the unusually high level of support we encountered on the streets, with passers by stopping to join in, share their own stories, take leaflets or to thank Quakers for what they were doing. 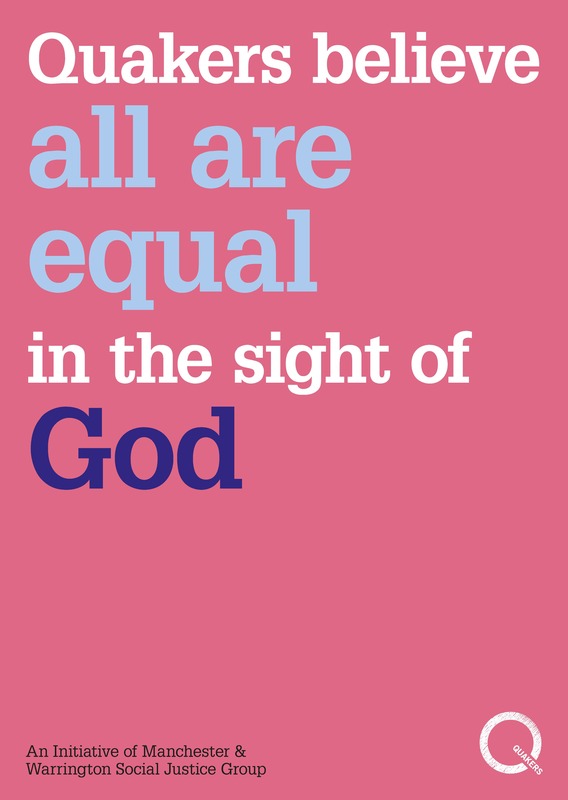 Whilst Quaker Equality Week saw activity across the whole of Britain, it was, in fact, the brainchild of a small group of Quakers in Manchester and Warrington. Like many others, Enid, Jonathan, Elizabeth and Anne’s Quaker Meetings actively support local food banks. But, as time passed, the group became more and more uncomfortable that in one of the world’s richest countries, this should be necessary. As they saw it, food banks are a symptom – not just of a broken social safety net but of unacceptably high levels of economic inequality too. With a general election approaching the group saw an opportunity to act, and with the support of Quaker Peace & Social Witness (part of the central structures of Quakers in Britain, for which I work), invited other Quaker meetings to join them. The week has been successful in many ways, raising awareness of the issues with hundreds of thousands of people – including many dozens of elected and potential elected representatives. The high level of support Quaker Equality Week activities received on the streets gives me hope that Britain is starting to yearn for social change. But, perhaps most important of all, the week shows that even when faced with huge social problems, there are things that we can do. 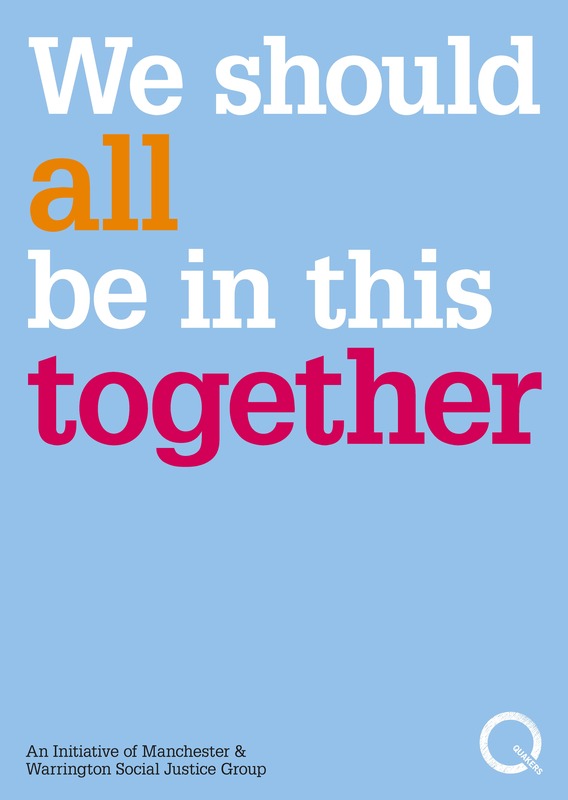 And, if lots of us act together so much the better! 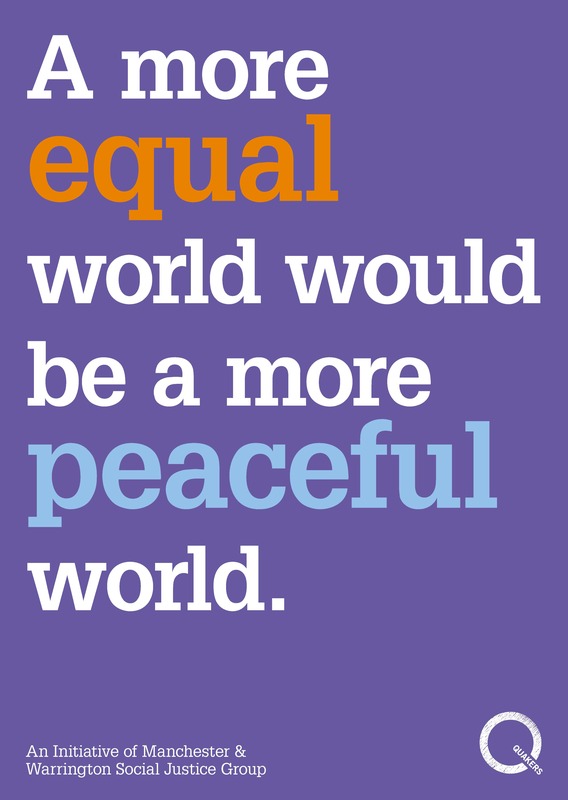 Quaker Equality Week may be over, but Quakers will continue to campaign about the need to tackle inequality. Look at our website for more information or get in touch if you want to know. This entry was posted in Benefits, Close the Gap, Food poverty, Partners and allies by Church Action on Poverty. Bookmark the permalink.